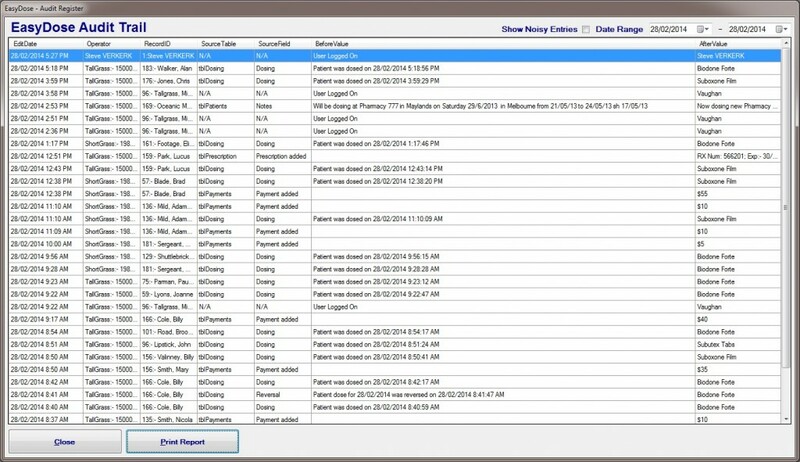 The Audit Trail is accessible to all users for viewing only. No record can be edited or deleted. 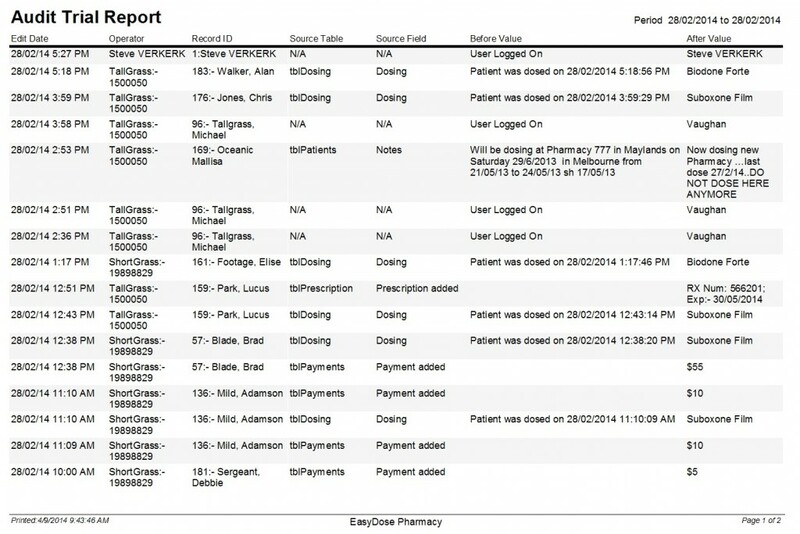 It remains as a permanent record of all transactions performed within EasyDose. The form can be filtered by the To and From dates (Date Range) at the top of the form. The tick box, ‘Show noisy entries,‘ is for programmers and legal purposes only. The Audit Report is printable and can be produced as evidence of any transaction.